Launching MakerSpace for the Humanities! Item! Pope Francis isn’t the only Holiness worth knowing about. Who are we talking about? Tenzin Gyatso aka the Dalai Lama. That’s right, Awesome Teacher Leader and site author extraordinaire Kay Teehan delivers another useful piece of research. Awesome stories comprises thousands of stories authored by found Carole Bos and we are increasingly expanding with contributions through user/member/leader-generated content. Check out how to become a Maker through our story building program. Fun fact about the Dalai Lama: it is believed that the Dalai Lama is the same soul, reincarnated over and over again through living beings. The current holder of the position was envisioned by a monk who saw the house where the future Lama lived. The recently deceased Lama’s head repeatedly pointed in the direction (north west) where earthly body of the new Lama could be found, no matter how many times the monks tried to reposition the head to face forward. 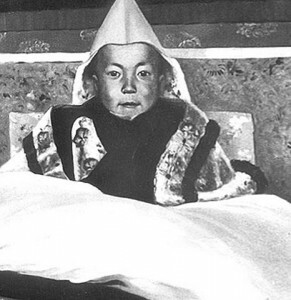 Find out more of his Holiness’s amazing story here. Kay Teehan is already a prolific contributor at Awesome Stories, please read more of her stories in our database. Her enthusiasm and volume of contribution is no surprise considering her years of teaching at many levels focusing on utilizing technology and online resources to maximize engagement with academic studies…she’s written three books on the subject! Now you can write your own AwesomeStories! Join as a member or as a free trial member and use AwesomeStoryMaker to create your own!